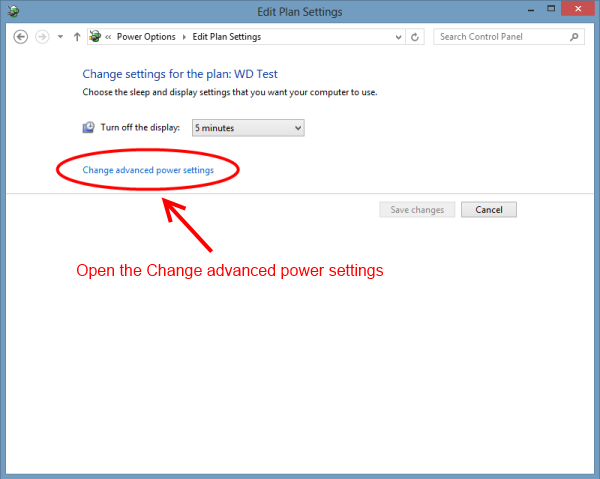 In some systems it is necessary to disable Windows' default power management settings in order for a drive or program to function properly. 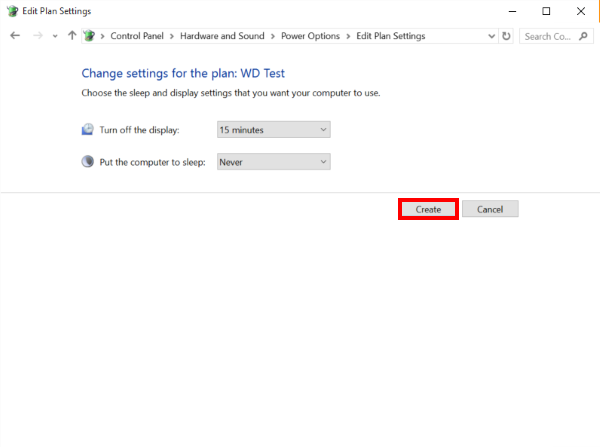 These instructions are used as a troubleshooting step for users who may be experiencing unexptected behavior with a WD external Direct Attached Storage (DAS) hard drive. 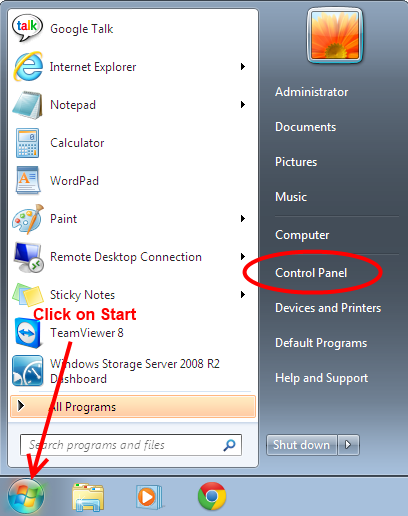 To begin, right-click on the Start button and left-click on the Control Panel. 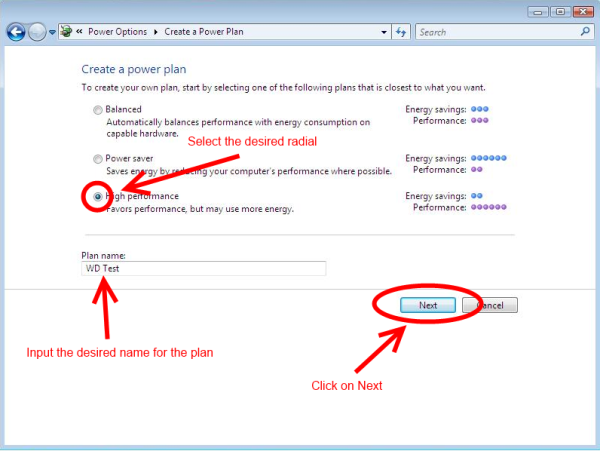 On the left side of the screen, select Create a Power Plan. 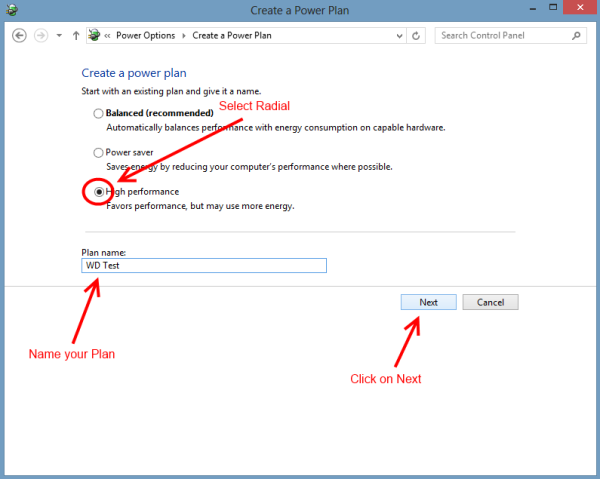 Select the High Performance radial and give the power plan a name. 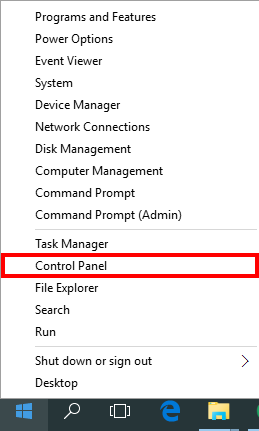 Then, click on Next. 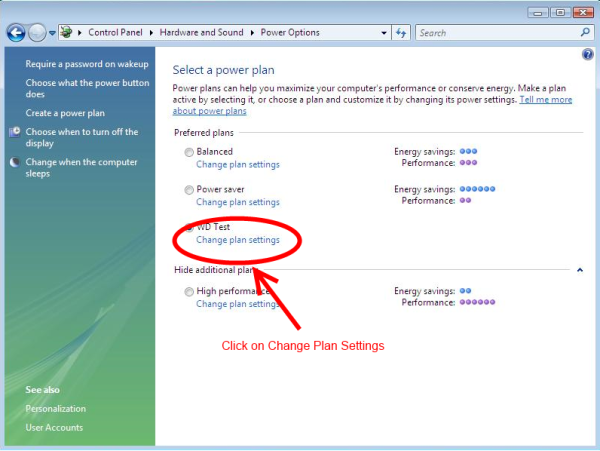 Once back on the main Power Options screen, select Change plan settings. 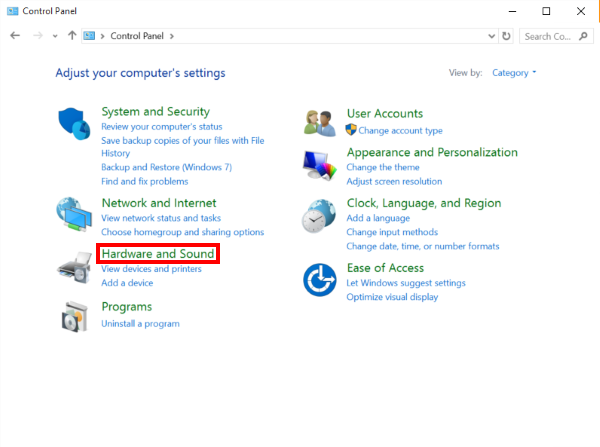 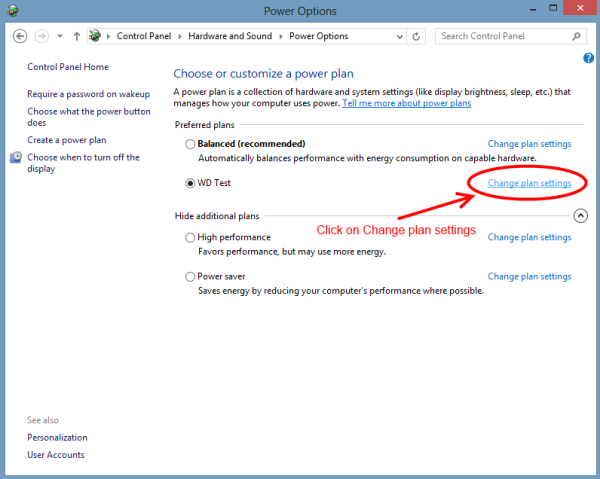 Next, click the blue Change advanced power settings link. 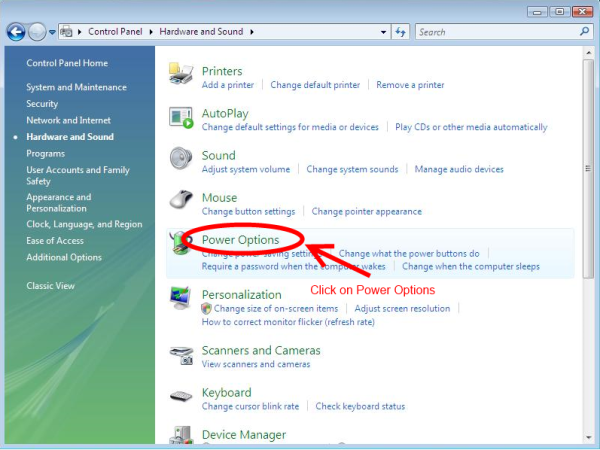 Expand the hard disk power options, by clicking on the + next to Hard Disk. 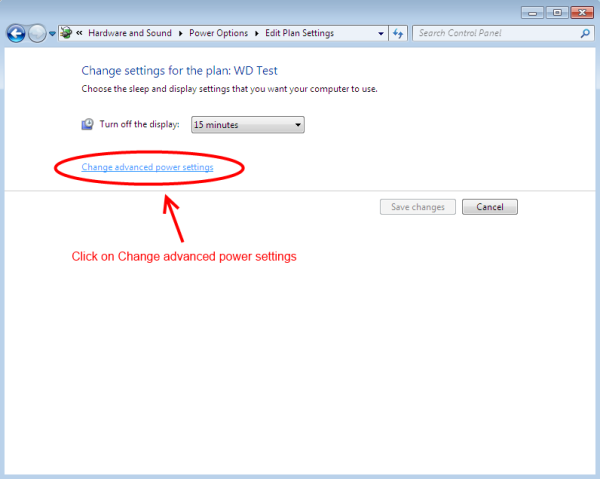 Change the time listed under Turn Off Hard Disk After to Never. 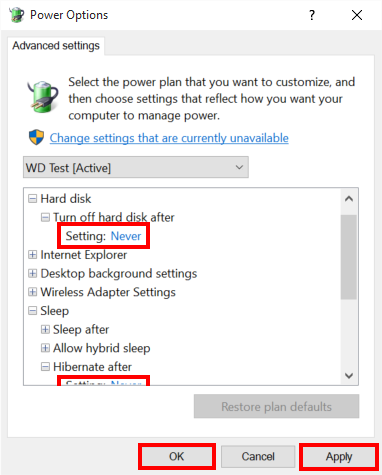 Do the same under the Sleep options for the Hibernate After item. 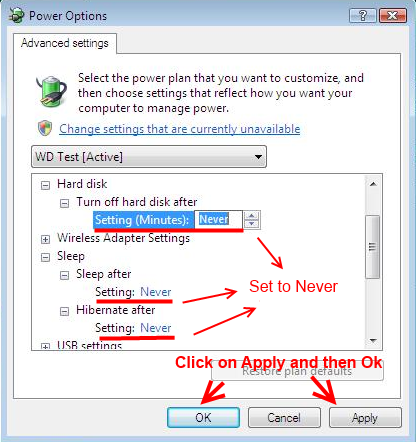 Click Apply and then OK. Then, close the window. 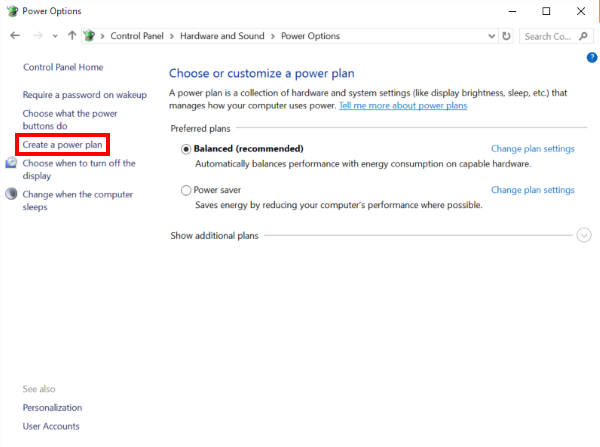 Now the power management settings have been disabled. 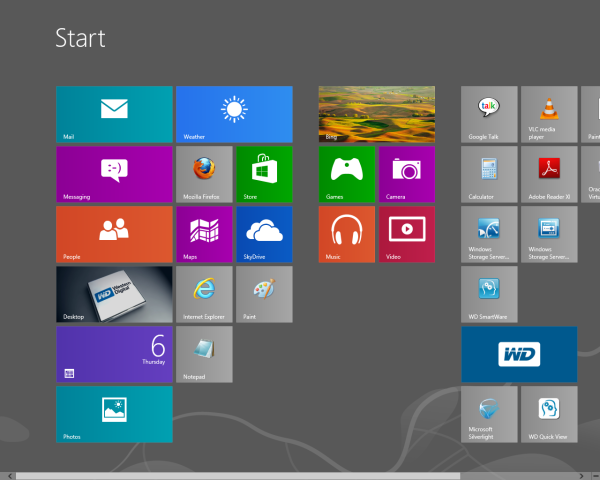 To begin, go to Start Screen. 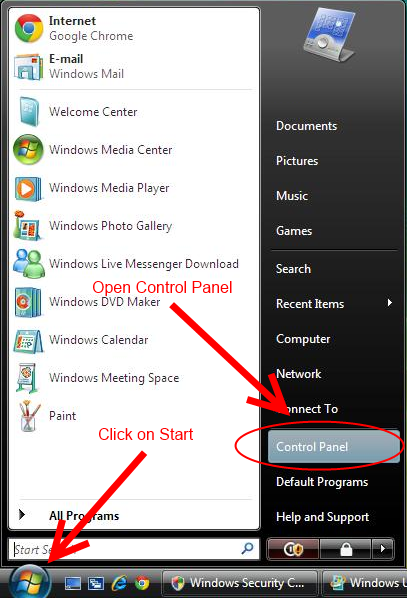 From there, open Control Panel by typing control panel and pressing Enter. 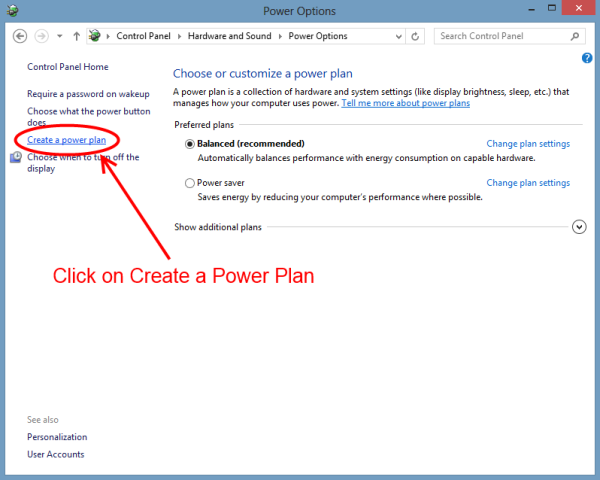 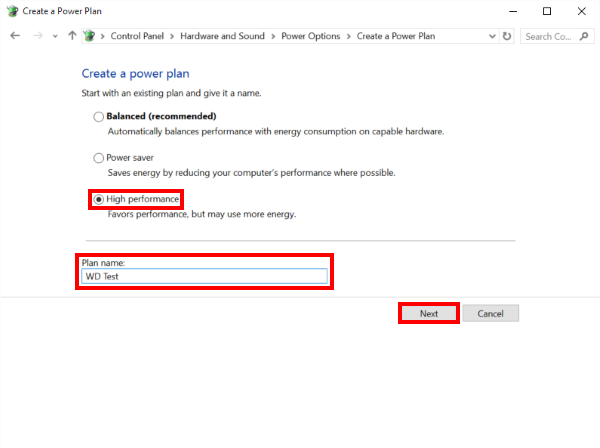 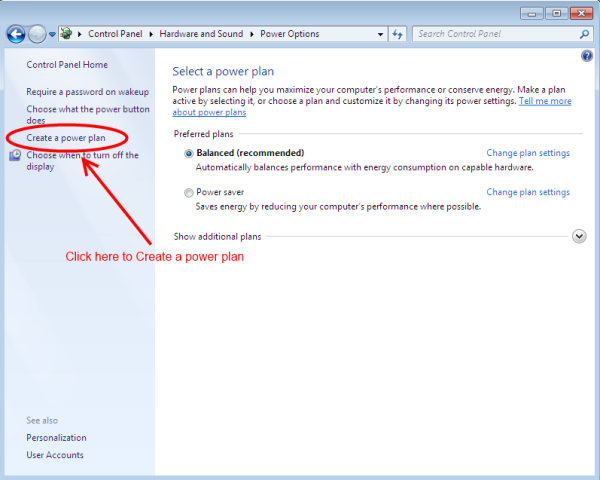 On the left side of the screen, select Create Power Plan. 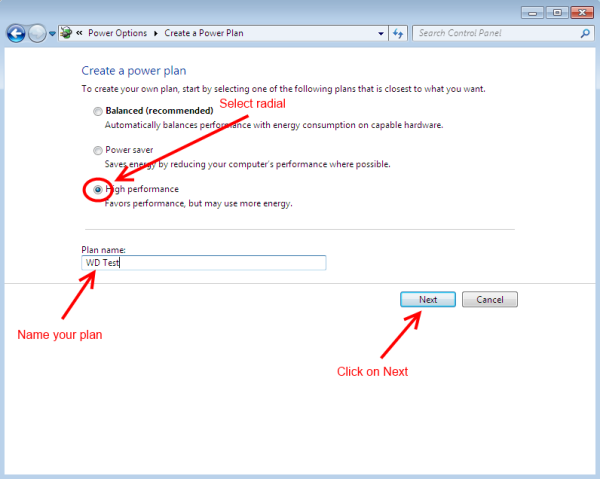 Select how long the system's display should remain on, and then click on the Create button to create the custom plan. 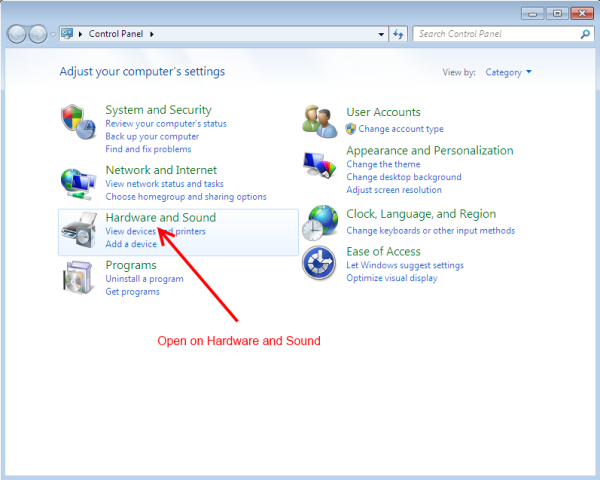 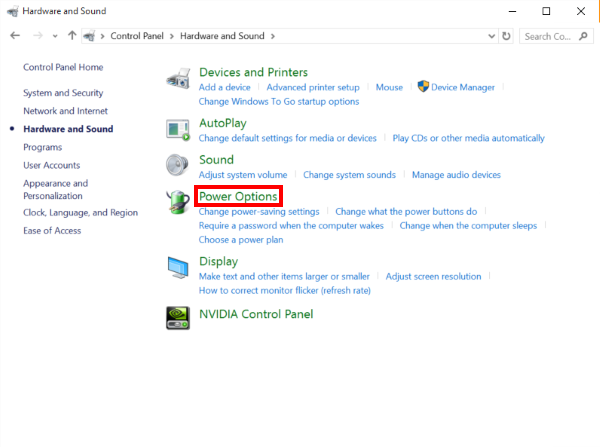 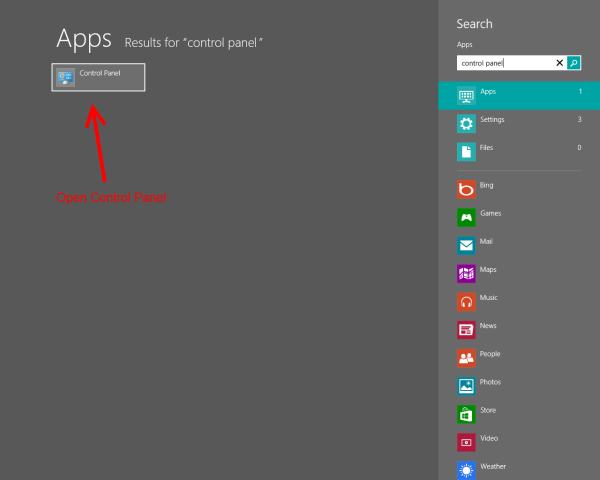 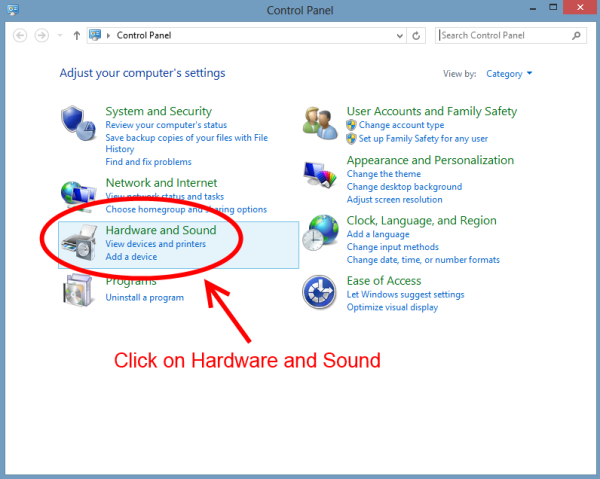 To begin, click on Start and open your control panel from your Start menu. 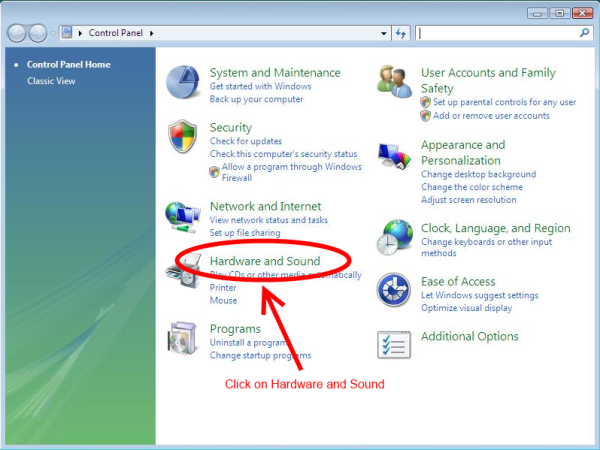 Expand the hard disk power options by clicking on the + next to Hard Disk. 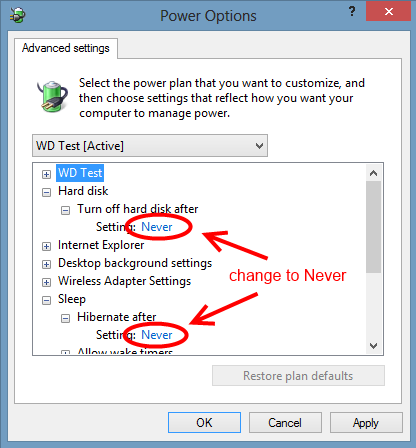 Change the time listed under Turn Off Hard Disk After to Never. 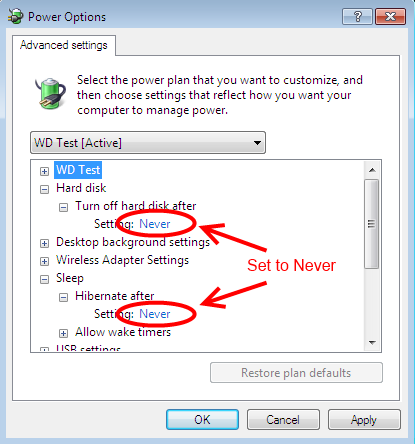 Do the same under the Sleep options for the Hibernate After item. 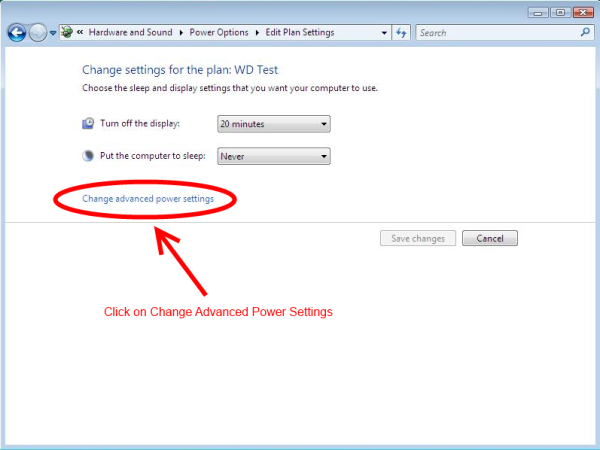 Select how long the system's display should remain on, and leave the computer going to sleep at Never. 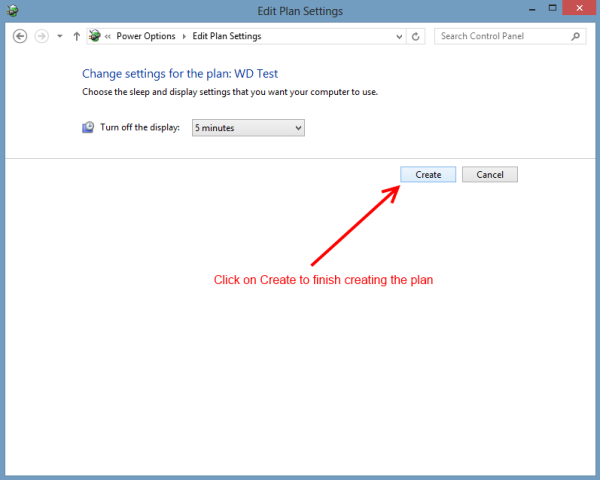 Then, click on the Create button to create the custom plan. 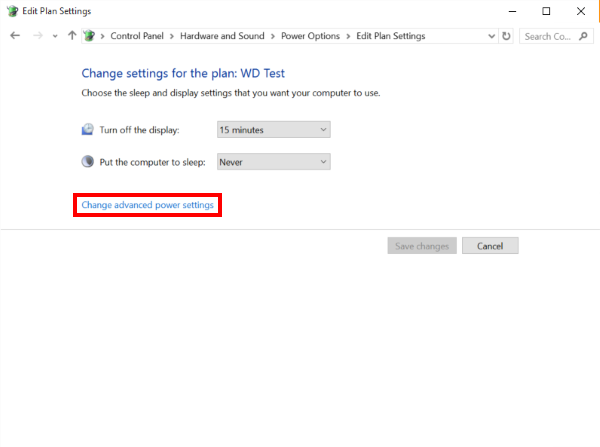 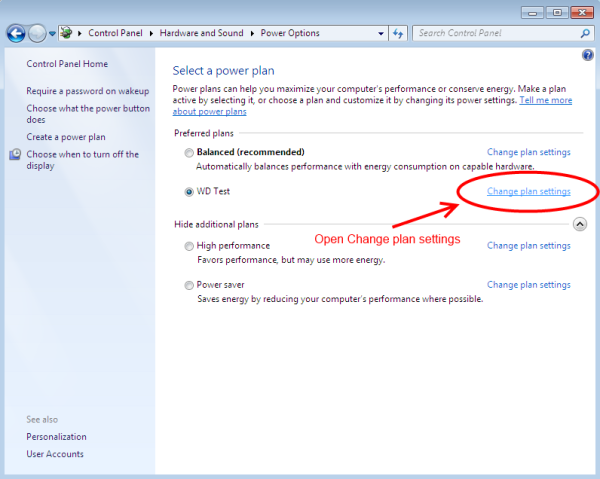 Next click the blue Change Advanced Power Settings link. 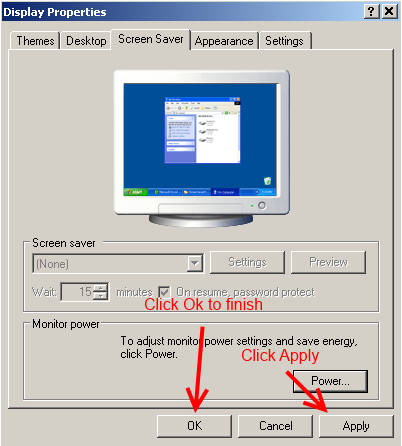 To begin, right-click on any unused portion of your desktop. 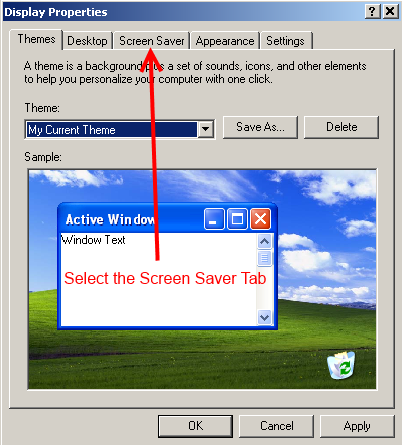 Select the Screen Saver tab at the top of the window. Click on the Power button near the bottom of the tab. 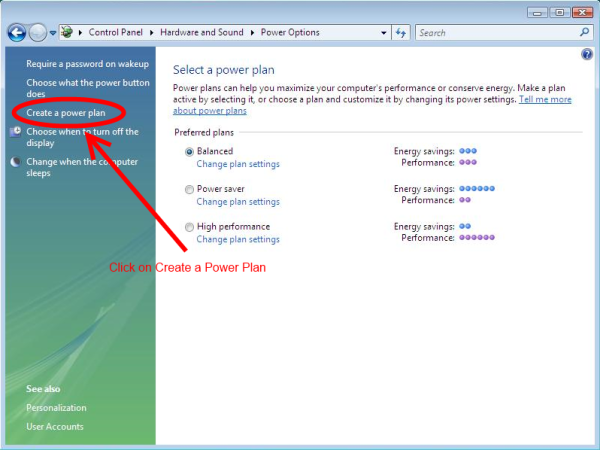 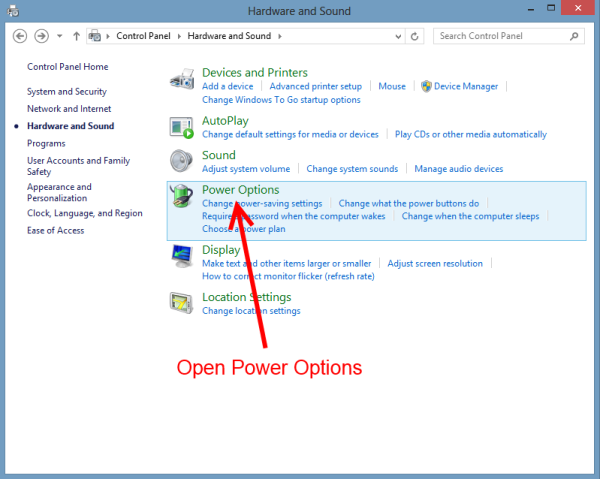 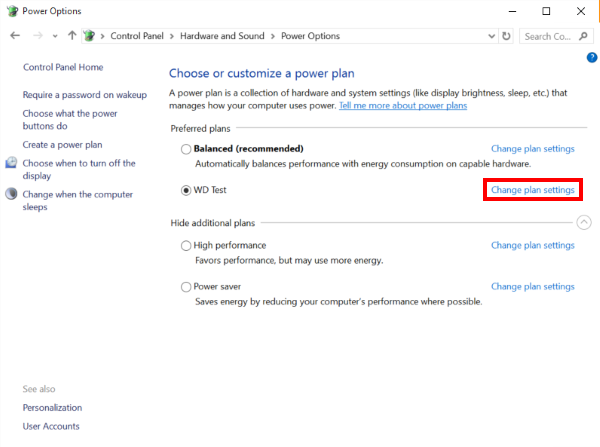 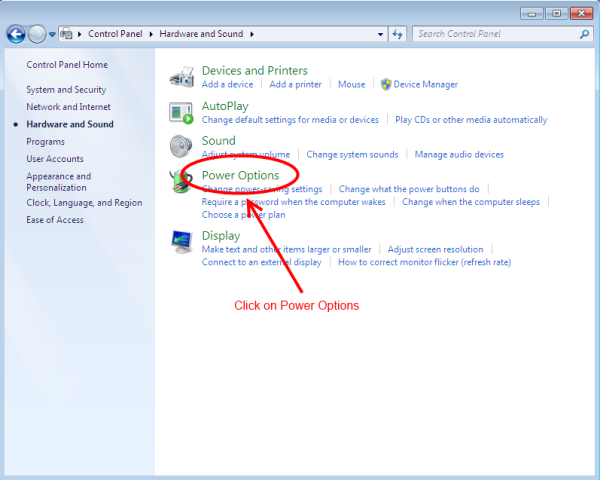 On the Power Schemes tab, set the Turn off hard disks, System standby and System hibernate settings to Never. 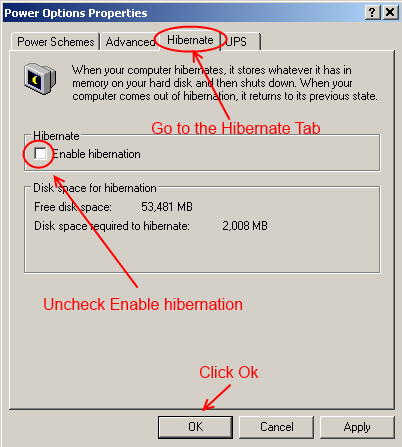 Now, click on the Hibernate tab. 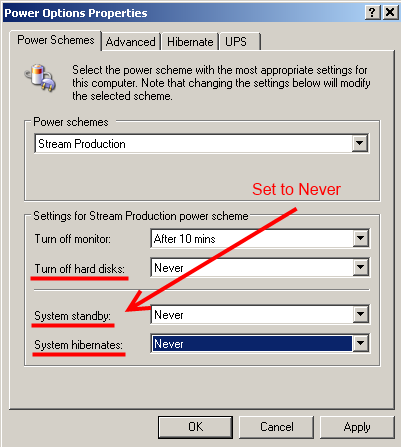 If checked, uncheck the Enable Hibernation checkbox. 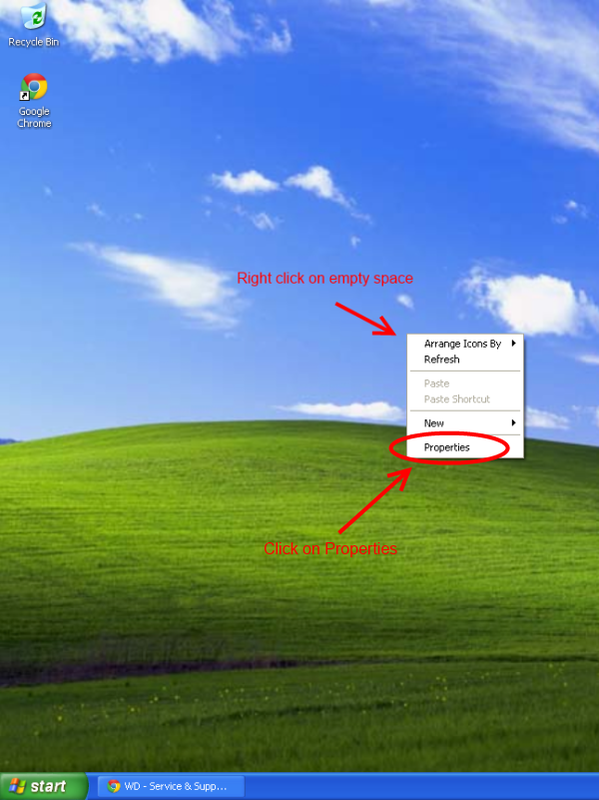 Back on the Display Properties window, click on the OKbutton. 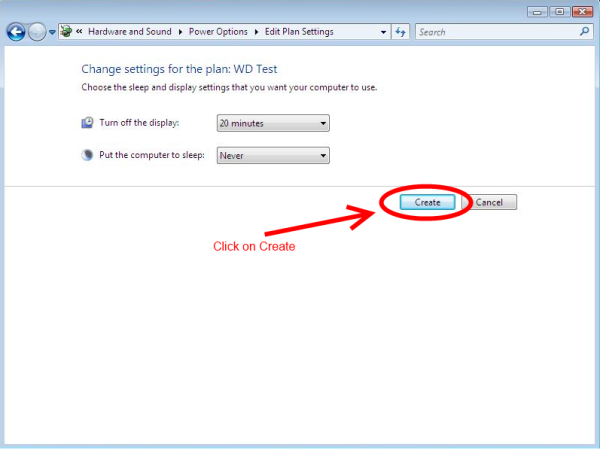 Western Digital technical support only provides jumper configuration (for EIDE hard drive) and physical installation support for hard drives used in systems running the Linux/Unix operating systems. 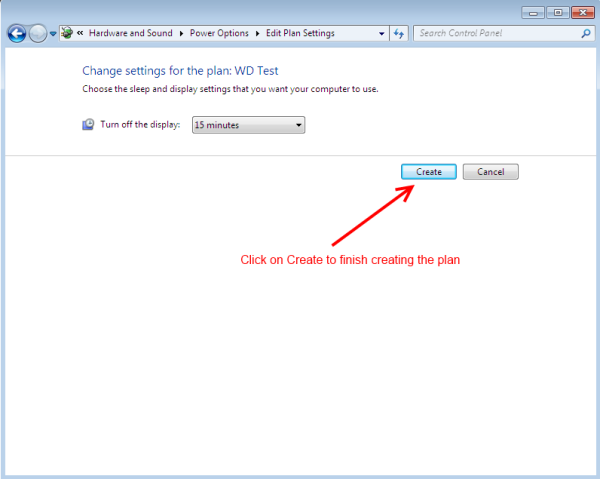 For setup questions beyond physical installation of a Western Digital hard drive, please contact the Linux/Unix system vendor.